Austin has been home for over 30 years. Both my children were born here. I attended the University of Texas, but shortly after, I landed myself in real estate. I have had my real estate license since 1997. I managed a real estate office from 1999-2016. 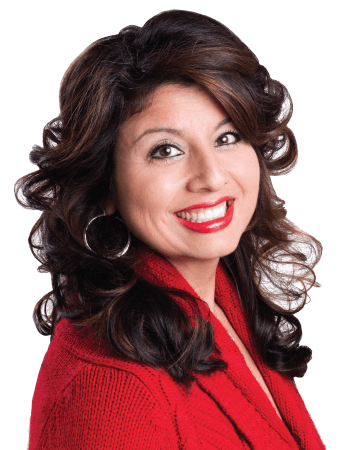 After 17 years of real estate management and specializing in rentals, I decided to concentrate my efforts on my real passion, helping people buy and sell real estate. I love working with first time home buyers/sellers, seasoned buyers/sellers, and investors. Quite frankly, I just love people and real estate. My “job” never feels like work. When I am not working, my hobbies include travelling and spending time with my beautiful family. I have two beautiful daughters and three beautiful and amazing grandchildren. Life is so much sweeter with grandkids! Lisa is an experienced Realtor who always put my needs as her client first. She kept me up to date on our progress, called me back promptly with my questions and helped me every step of the way. I highly recommend Lisa! Lisa Waltke is the most amazing realtor. She walked me through both the selling and buying process. She kept me calm when I wanted to panic. And got excited with me when I found the house that was just right for me and my husband. I would recommend her to everyone. Lisa was outstanding and did go above and beyond for me and my fiancé. We couldn’t be happier with our new home and all the work and assistance she gave to us. She kept us apt to date with everything and was extremely prompt with getting any documents needed to be signed by me to me rapidly. Again thanks to your company and to Lisa. Lisa is an amazing realtor. She definitely went out her way to make sure we were ready for selling/buying. She is a blessing. I don’t know what I would had done without her. I am so thankful for her! Highly recommend her. Lisa has built relationships with sooo many people in the business that everyone loves working with her! She gets the job done! Lisa is awsome and very passionate about the needs of others. Makes every effort to exceed your expectations. Helped me rent a Single Family home in Allandale, Austin, TX. Lisa went over an beyond to help us lease a single family home in a one week time period. Lisa was able to handle all of our concerns and desires while we were in the stressful situation of moving cross country. She is a priceless asset in finding a home and has a vast amount of knowledge of the area. I would highly recommend Lisa if you are in need of a lease or in the market to purchase. Bought a Condo home in 2016 in Hyde Park, Austin, TX. Lisa was very pleasant to work with and responded to all our needs promptly. She was a great guide to the area and knew the market very well. She listened to our needs and in the end found just the right property for us. I would highly recommend her. She is always very helpful, sweet and professional. She makes sure to find places that have all the the things you are looking for in a home, and always try’s to give you a variety of options. She always met with us around our work schedules, and has no problem with the little ones being around. She made sure all our questions were answered and never tried to push us into a place that we were not sure of or just did it meet that criteria we were looking for. I’ve known Lisa for a few years and had the pleasure of utilizing her services last year to help me find a new place. Lisa’s immense knowledge of Austin areas (hello- 19 years of experience as a top producing Apartment Locator!!) and the real estate process is a tremendous asset and really put me at ease with the idea that she was going to find me the best place for my needs. I knew that she would bring anything to my attention that was a good fit for me. I have also referred several of my friends to her because I trust her so much. The experience of finding a new place to live can be so painful, but she really makes it a breeze. Lisa Waltke is one of the best agents we have had the pleasure of dealing with in over 48 years of home selling/buying. She is professional, reliable and so personable. We would easily recommend her to anyone considering buying or selling their home. She is one you can trust and depend on. Lisa Waltke is an incredible agent. Her guidance through the home buying process is the absolute best. She answers every question quickly and her years of experience in real estate really shine through. If you are looking to buy or sell your home, do yourself a favor and contact Lisa. She will make sure that everything goes smoothly! 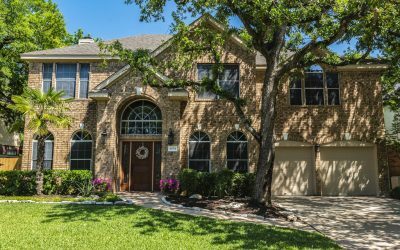 If you’re looking for an agent in Central Texas, look no further! Lisa goes out of her way on every deal to make sure her client’s needs are met and always remains positive throughout the process. Highly recommend Lisa if you’re looking to buy, sell, or even rent a property! Lisa is very knowledgeable. I gave her my requirements for a rental home and she gave me several options that met my needs. She made sure the contract met my personal expectations and she helped make important negotiations easy. Location, location, location! In the heart of Allandale! This old home with some great bones is just simply special! Beautiful old oak tree in front of the home! New floors/paint in 2017. Original Terrazzo tile at entry foyer, original built in GE stove and the coolest vintage gas logs in fireplace. This home features two living and dining areas, a front porch and back covered patio. Lots of living space on an over-sized lot. All it needs is YOU and your personal touch in the kitchen and bathrooms. This home won’t last long! 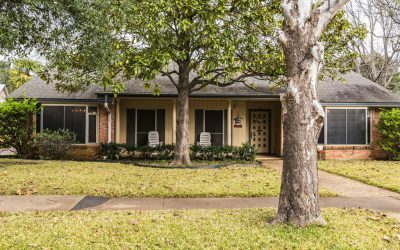 Beautiful very well maintained home in established Vista Oaks neighborhood. Great Leander schools. Close to major roads and tolls, restaurants and major shopping. Backyard oasis has a nicely shaded lot with outdoor seating area, patio and Hot tub in tranquil backyard. Gourmet kitchen with granite counter tops. Surround sound in the family room and audio system throughout entire house. 2 full size walk-in closets in the master. Balcony off master bedroom. Exterior paint 2018.